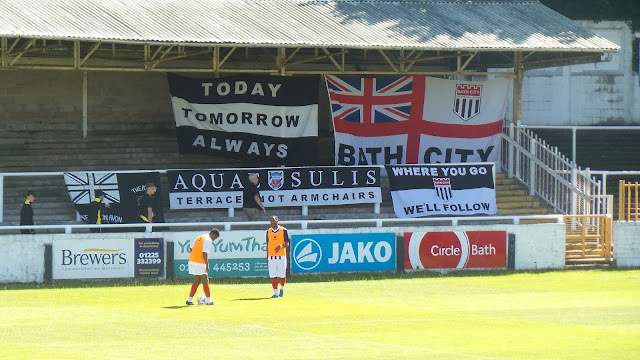 1: Bath City were founded in 1889 and were known as Bath AFC and Bath Railway before settling on their current name. 2: After playing at Belvoir Park for the early part of their history, they moved to Twerton Park in 1932. 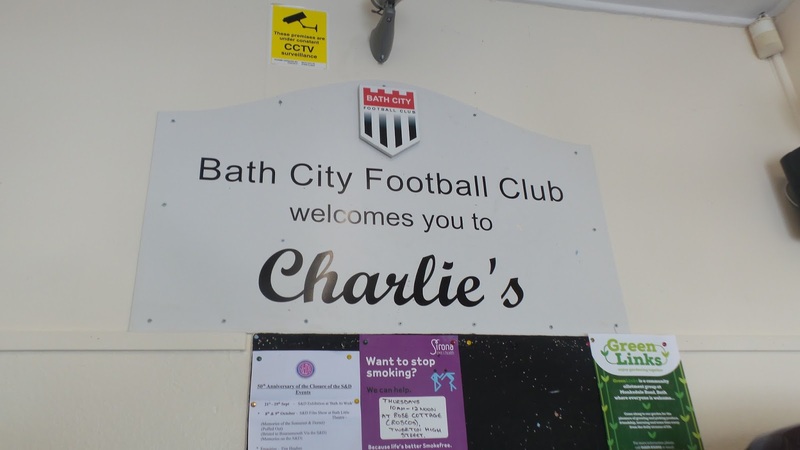 They have been there ever since, with Bristol Rovers coming to share between 1986 and 1996 and the now defunct 'Team Bath' lodging from 1999-2009. 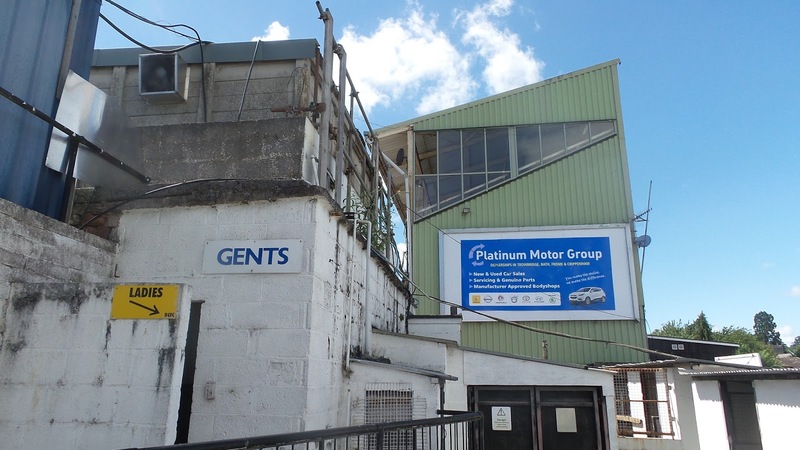 3: Though current safety stipulations set the ground's capacity at 8,840, the record attendance at the ground came in January 1960 for an FA Cup 3rd Round game against Brighton & Hove Albion. 4: That FA Cup game remains amongst their best performances in the competition. They also got to the third round in 1964 - taking Bolton Wanderers to a replay, and then again in 1994 where they gained a 0-0 draw at the Victoria Ground in Stoke, before losing the replay 4-1 at Twerton Park. 5: The clubs best progress in the FA Trophy came in the 2014/15 season when they reached the semi-finals, playing North Ferriby United. They drew 3-3 on aggregate with the Yorkshire side, before bowing out on penalties. 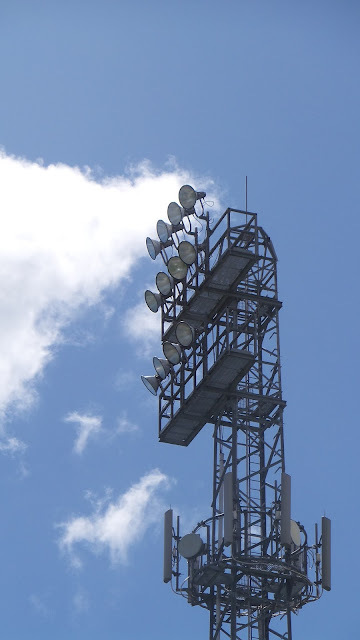 6: Initially playing in the Western League, they have spent most of their history in the Southern League. 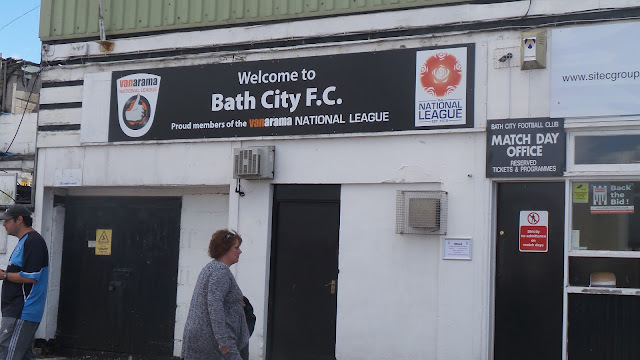 Prior to the Conference being formed it was the joint highest league in non-league football and this their championships in 1960 and 1978 represent their best ever finishes. They also won it in 2007, when it was at step 3 of non-league. 7: Since the Conference was formed, they have played many seasons there under its various guises. Their best placing came in 1985 when they finished 4th in what was then called The Gola League. 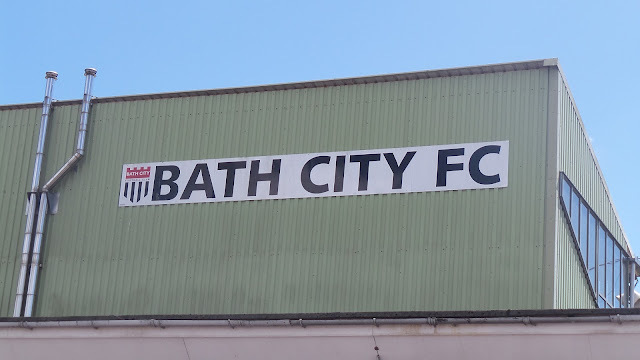 8: Bath City have won the Somerset Premier Cup a record 21 times, the last coming in 2008 as they beat Paulton Rovers 3-0. 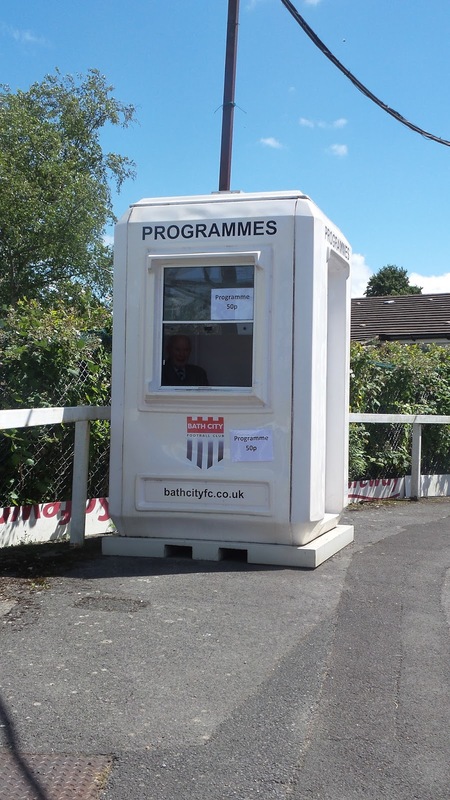 9: The club has appeared live on Sky TV. Their 1994 FA Cup clash against Hereford United, then a football league side were defeated 2-1 whilst sporting a bizarre 'patchwork quilt' style kit. 10: Prior to the Conference being established, clubs needed to apply for election to the Football League. Bath City did so in 1978. missing out by a few votes that were cast by the Football League club's chairmen. Wycombe's first game in the FA Cup as a League team saw them return to one of their old haunts in the Conference, Twerton Park, home of Bath City. The previous season Wycombe's first defeat of the season had been to Bath at Twerton Park, and all in all, we didn't have a very good record there. 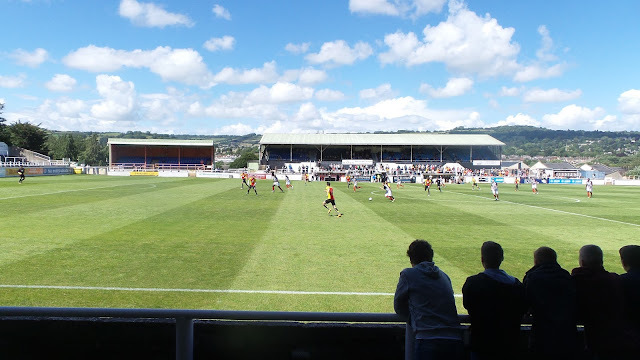 But today the opponents would be Bristol Rovers – playing in Bath due to the fact that they had been evicted from their old Eastville home after selling it to the Greyhound Racing company they had previously rented it to. The new owners did very nicely out of it, so much that they didn't need the inconvenience of having Rovers around, and the rest as they say, is history. A sad tale and a lesson that other clubs should learn from. Despite their troubles, the “home” side were doing well in what is now League One, in and around the play-offs. 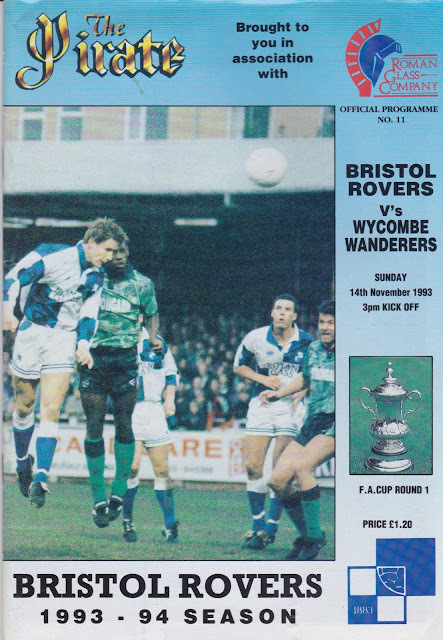 Wycombe were outsiders to win, but win they did. 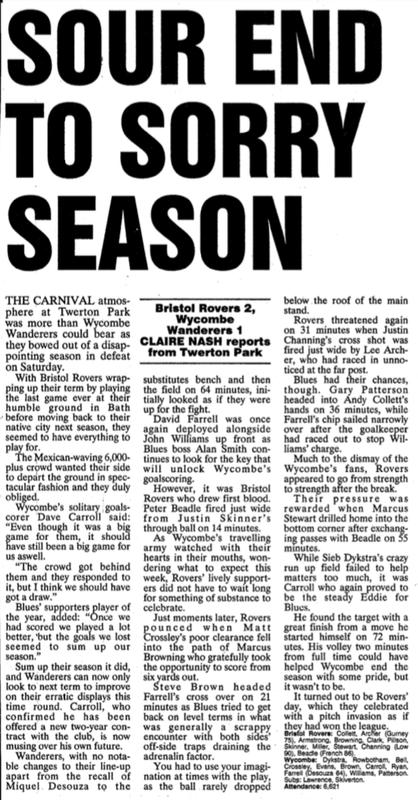 Having been outplayed for much of the game it wasn't really any surprise when Archer gave Bristol Rovers the lead. But goals from Tim Langford and Dave Carroll gave Wycombe victory as they dug in and battled their way to victory. 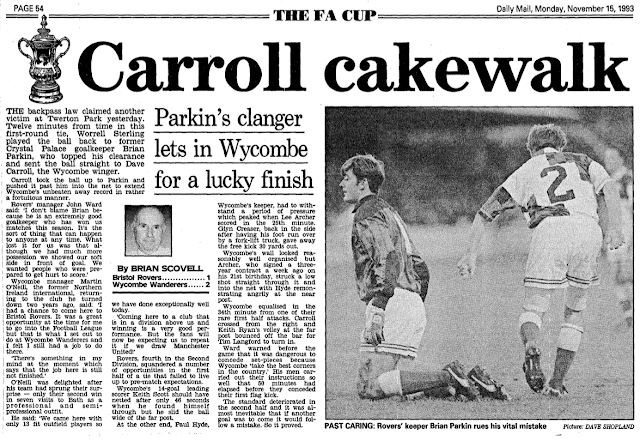 Carroll's goal was notable for a mistake from future Wycombe keeper Brian Parkin, who signed for us under the dreaded Alan Smith tenure, being a disappointing replacement for fans favourite Paul Hyde. Rovers had released him at the end of the previous season, and despite being a good professional, he was past his best. 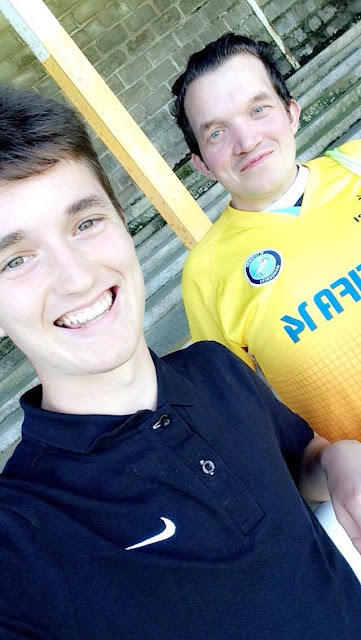 Wycombe went on to beat another higher league team in the 2nd round as they beat Cambridge United at Adams Park. They were given a home tie against Norwich City in the Third Round. Many fancied Wycombe to cause a shock, but it was not to be as the Premiership side triumphed 2-0. A video of the Bristol Rovers game is above, and is notable for the hilariously biased commentary towards the hosts. My second visit to Twerton Park was supposed to be Bristol Rovers last ever game at Twerton, but as it turned out, they played the first few games of the following season in Bath too. 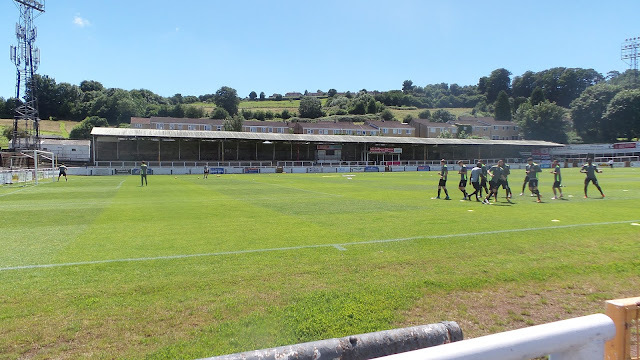 This was due to delays getting the rugby ground they moved into ready, but as far as the residents of Bath were concerned, Rovers were leaving that day. I went on the coach with my Dad and Brother and as we were coming into Bath we waved at by the local residents, which was pretty nice. I stood on the family terrace and saw one of the teachers from my school, Mr Stedman, who I am still in contact with to this day. 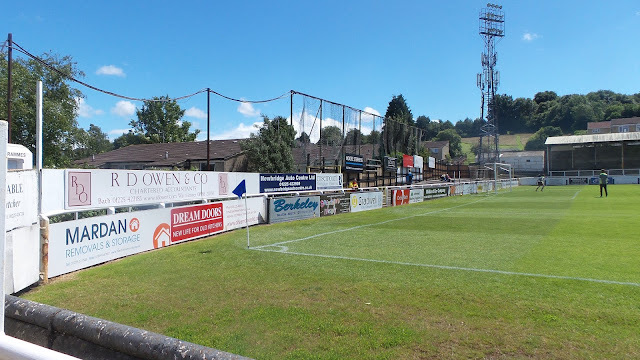 My only other memory of the day is a Bristol Rovers fan in an Oasis T-Shirt climbing on top of the dugout at the end of the game and falling through the roof! 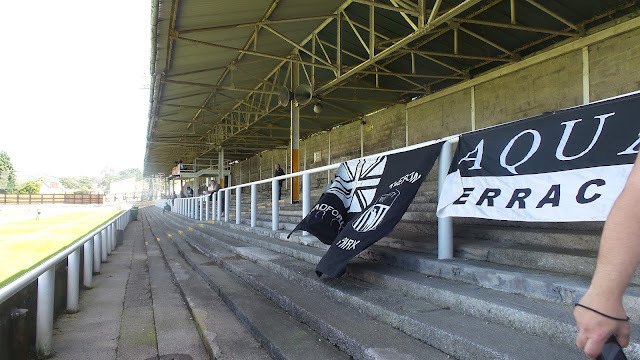 On the pitch, it was not such a happy day as the last visit as we continued our patchy form at Twerton Park. By now, we had the unpopular Alan Smith. It was a mid table third-tier clash and as hard as it is to belive now, that was a big disappointment back then, after all the success under previous manager Martin O'Neill. 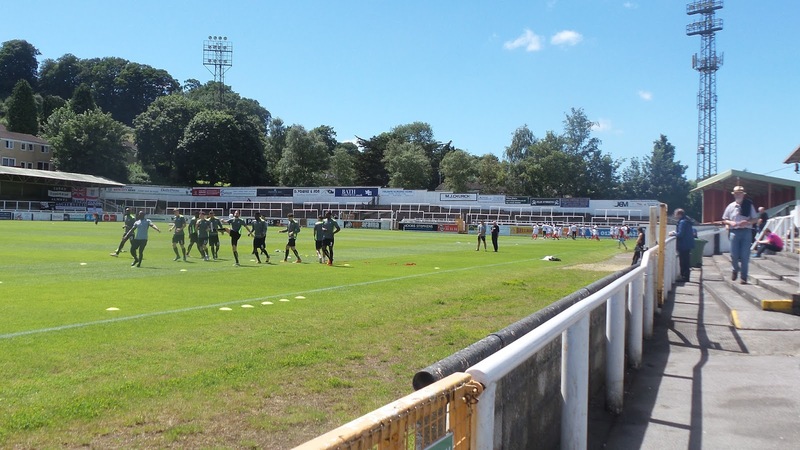 It was another poor performance from Wycombe and it was no surprise when the hosts took the lead with Marcus Browning seizing on Matt Crossley's sloppy clearance. 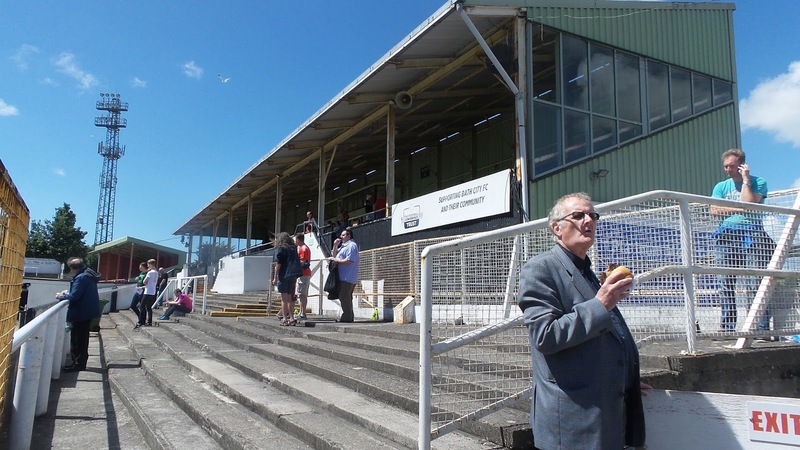 There was plenty of hoof-ball in a scrappy game but Rovers were well on top. It was no surprise when Marcus Stewart doubled the lead on 55 minutes, this time with a low drilled shot. 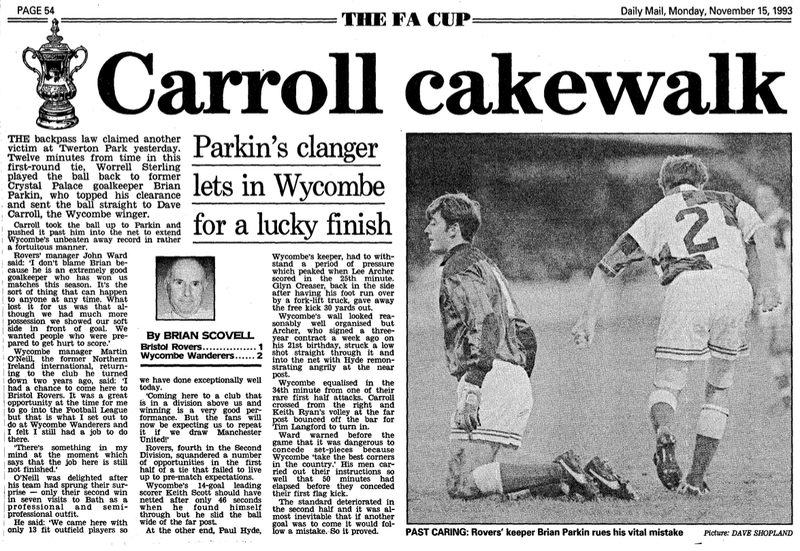 Though Dave Carroll got the best goal of the game on 73 minutes as his excellent volley sealed a consolation for Wycombe, it was a disappointing day all round for the visiting support. 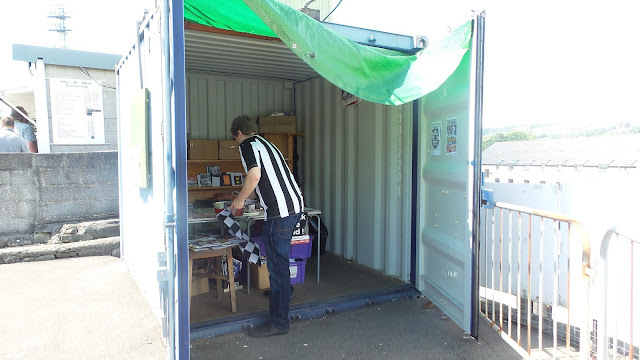 I'd been wanting to revisit Twerton Park for a while, not having been there for over 20 years and therefore not remembering a lot about it. 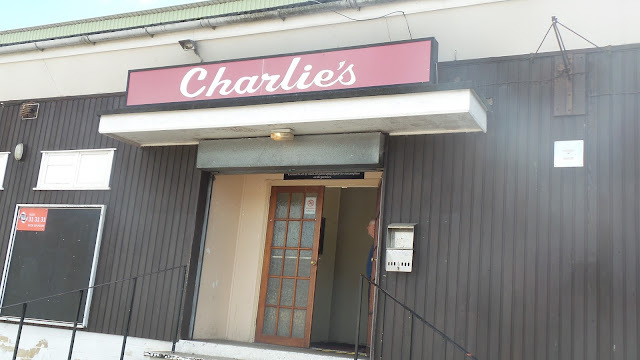 I'd also not been able to experience it as a groundhopper, or be able to walk the whole way round, neither did I have any of my own photos of the place. 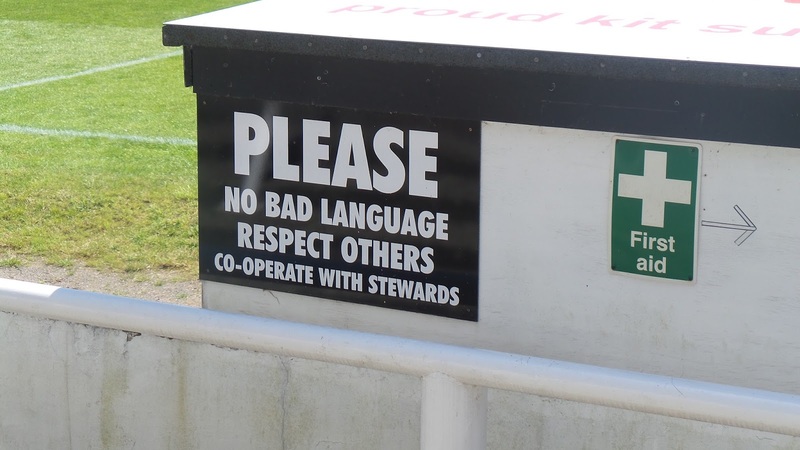 As one of the more well-loved grounds, that was something that had to be put right. Initially, I was thinking of trying to get in an FA Cup game later in the season, however, that couldn't be guaranteed. With fellow hopper Anwar very keen to visit also, I was happy when an interesting looking fixture against Partick Thistle came up in pre-season, and arrangements were put in place to attend. It would be my first game of the 2016/17. Though my season had ended with an enjoyable England double - watching the women at Adams Park, and the non-league side at Sutton on the first weekend in June, they were my first games since mid-May. I was supposed to have been seeing a game at Barking on May 21st, as West Essex were set to face CB Hounslow Reserves. 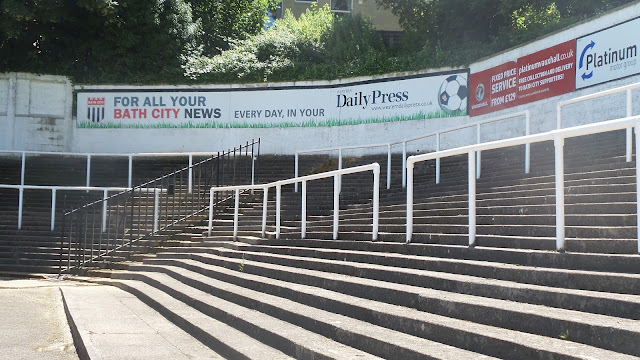 But the opposition cried off, something that I did not find out until bang on kick off, having made the journey across London on the train, via a couple of pubs of course, so all was not lost. 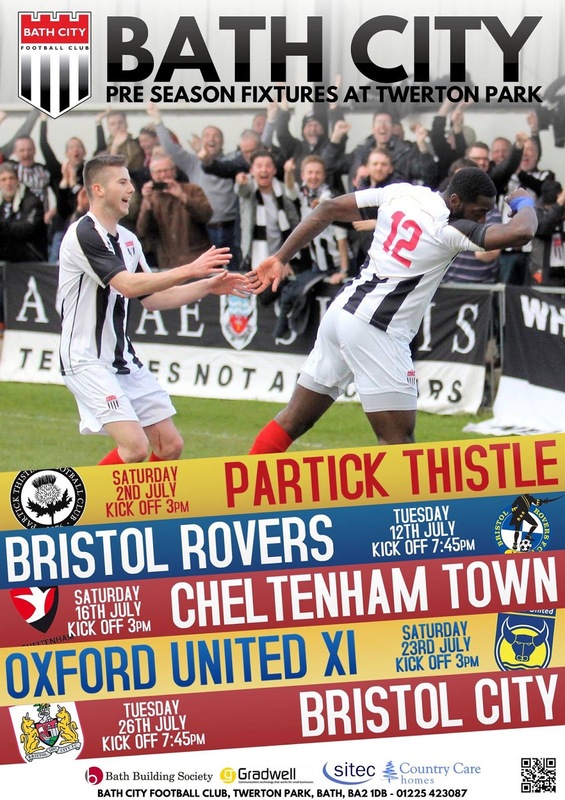 It was a frustrating 3-week wait between my final 2 games then, then another month until this one. At least I had Euro 2016 to keep me entertained, with the football being a nice diversion from what was usually a boring time. The less said about England's performance the better though - we were utterly clueless against Iceland and it was a woeful end to what initially looked a promising tournament. I'd also filled in the time by catching up on my blog - especially doing justice to the grounds that were no longer with us, with many hours sunk into that. The night before the game I watched more Euro 2016 as Wales beat Belgium 3-1 with an exceptional level of togetherness and team performance. Normally Friday is my main drinking night, but having sank a load after the England game on the previous Monday, I decided to stick to a couple. I also set about updating my blog for the new season, moving all the teams to the right divisions and was not too pleased when I lost a load of work due to the web page crashing. I went to sleep at the fairly early time of 10, meaning I woke up at 5 the next morning. From then, it was just a matter of killing time, catching up with things, having a bath and getting ready before leaving to meet Anwar at 11. He was ready and waiting for me, and chatting to one of his neighbours as I pulled up around 5 minutes early. We had a decent journey over to Bath, with just a couple of slow spots. There was torrential rain on and off throughout the journey and I was hoping that it would all have gone by the time I got to Bath. We'd not spoken properly for 2 months, so had a lot of catching up to do. The talk was fairly upbeat concerning Wycombe's decent summer signings so far, but the England team came in for a verbal hammering. In terms of groundhopping, plans were put in place. 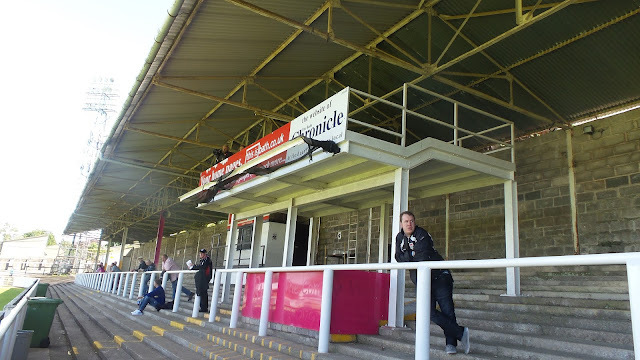 Anwar would be unavailable for the Boston Town v Boston United game that I wanted to do this Tuesday, but was willing to do Grantham Town v Lincoln City next Friday, which happily is a competitive game as the pair contest a Lincolnshire Senior Cup tie. 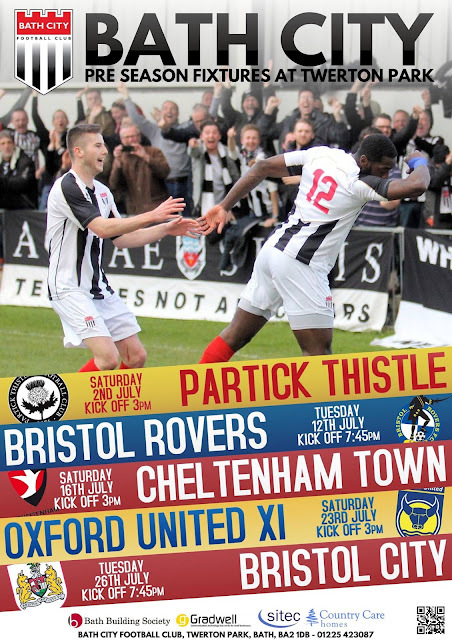 We also discussed further ahead, but those games will be finalised nearer the time. We were parked up in Bath by 1.10, using the free parking that Sainsbury's had kindly provided. Arrangements were made to meet back at 2. 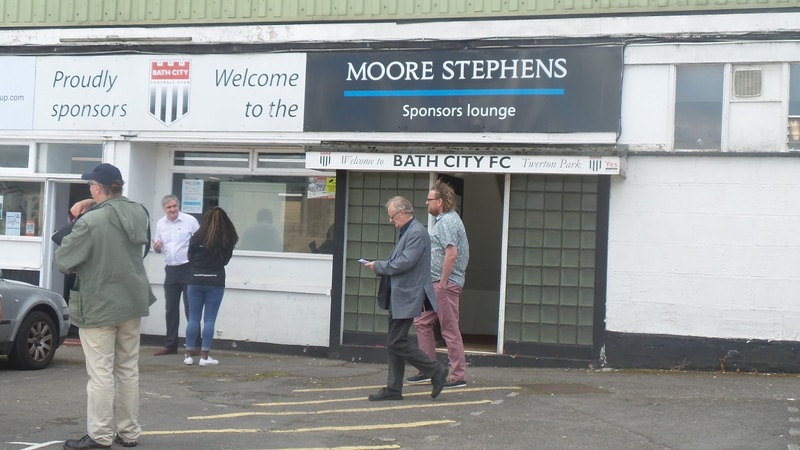 Originally the plan had been to go to The Royal Oak near the ground but with Anwar fasting for Ramadan, it would be unfair to leave him sitting bored with nothing shopping-wise around the ground. 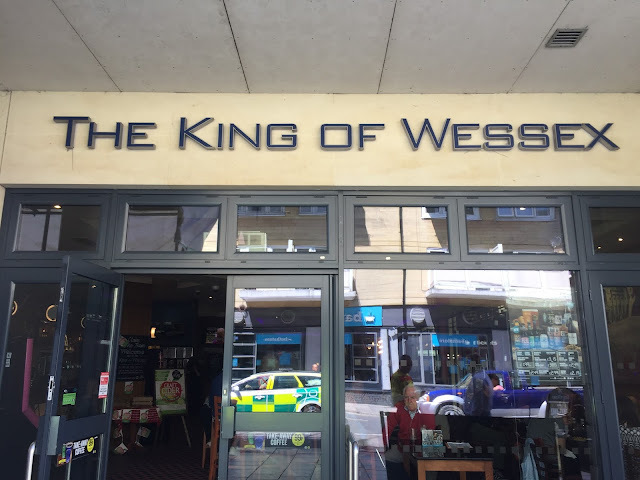 Instead, he went to the shops while I headed off to the city's Wetherspoons, my 84th in all. The King Of Wessex was an excellent example of the chain, and one of the best I have been in. It was nice and easy to get a table and service was good. They had 6 real ciders on, though I'd had them all before. 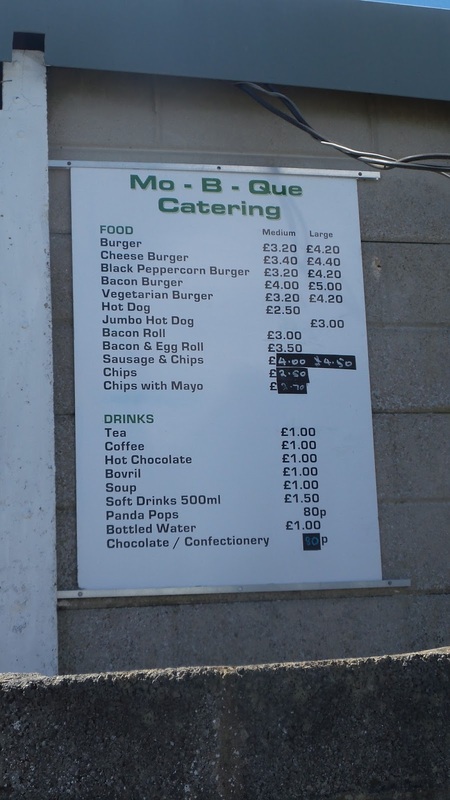 I opted for a meal deal, having a BBQ Chicken Panini, with chips and a bottle of Hazy Hog cider for £5.25. It was all good and with 15 minutes to spare I had a look round Sainsburys, being disappointed that there was no local cider to buy and take home with me. 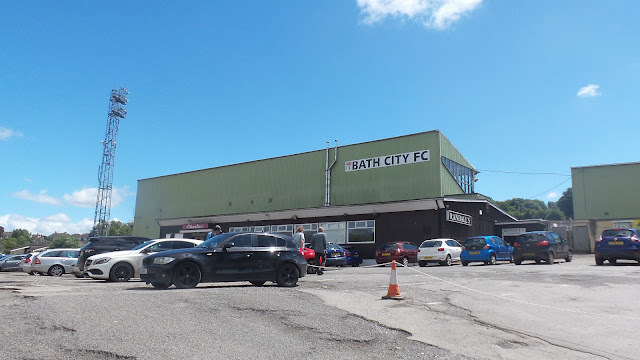 The journey to the ground only took 10 minutes, with us parking on the road outside, rather than using the club car park. 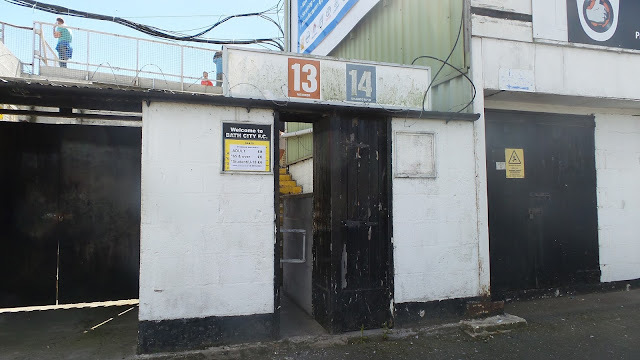 I got some pictures of the outside, before paying a very reasonable £8 to get in, plus 50p for a single sheet programme. I spoke to a couple of groundhoppers before meeting up with Bristol Rovers fans Harvey & Kalon who both turned out to be cracking lads. I'd already got my pictures of the grounds, with it being a little different from what I remember, but still very impressive for the level and full of character. 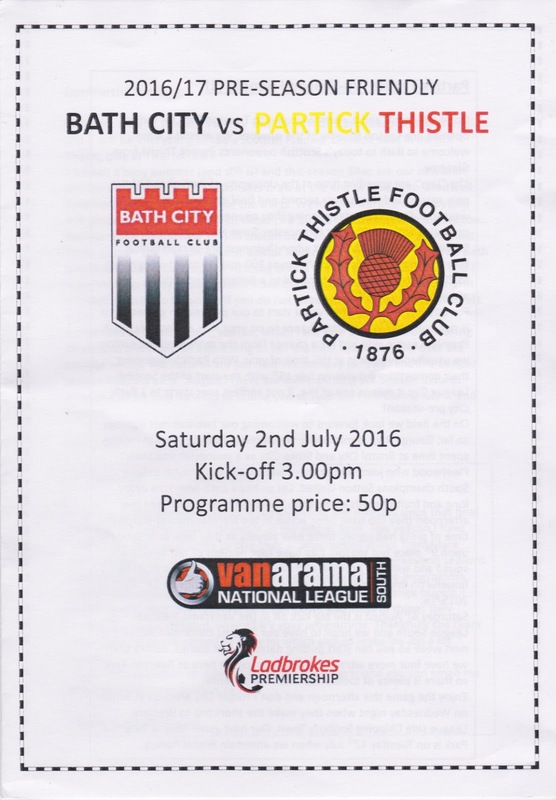 Partick Thistle came into the game fresh from a 6-0 win over Cirencester Town and I thought that they would provide tough opposition for the hosts, but this turned out to be far from the case. The game started slowly, as you would expect for an early pre-season friendly. 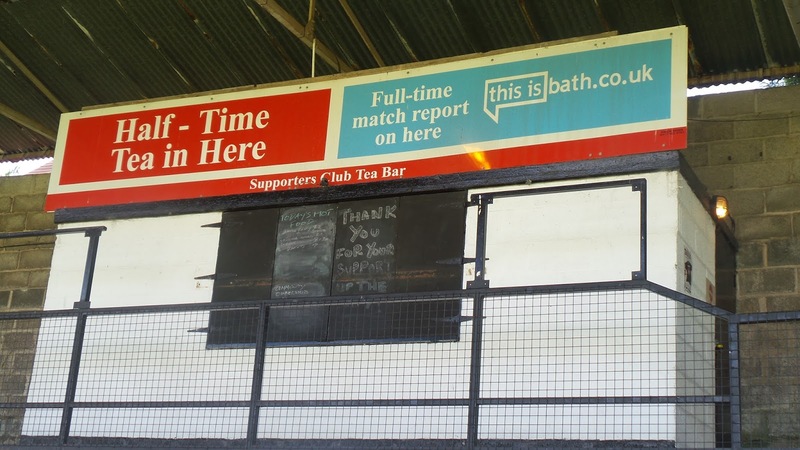 Bath were the better team though and they took a deserved lead on the stroke of half-time. 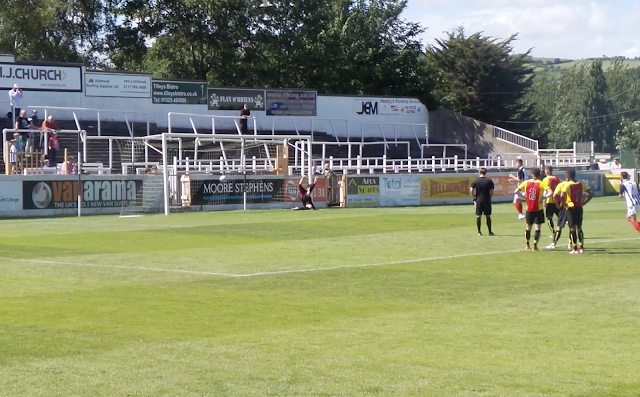 Nick McCootie was upended in the box, with Billy Murphy dispatching the resulting spot kick, drilling low and hard into the centre of the goal. Three minutes into the second half, it was time to return the favour with McCootie heading in from Murphy's corner. The goal of the game came on 64 minutes as Shaquille Hunter curled a stunning shot into the top right-hand corner, I doubt I will see many better strikes than that this season. The game was rounded off on 68 minutes as Josh Hutchinson's jinking run and shot was initially saved by the Partick keeper but a backtracking defender deflected it into his own goal. So an excellent start to my season, in front of a crowd of 302. The visiting Scots will have been disappointed by their showing, but Bath City will be delighted with the day. The only blot on the copybook was a head injury to new striker Stuart Fleetwood, which required him to go to hospital to have it stitched up. On the way home we listened to TalkSPORT, hearing the sad news that Caroline Aherne from the Royle Family had died at the tragically young age of 52, due to cancer. There was also an inquest into England's dismal showing at the Euros and that took up most of the journey home. I dropped Anwar off at 7, getting home myself 25 minutes later. I had a couple of drinks while typing this blog and watching the Germany v Italy game on BBC1. 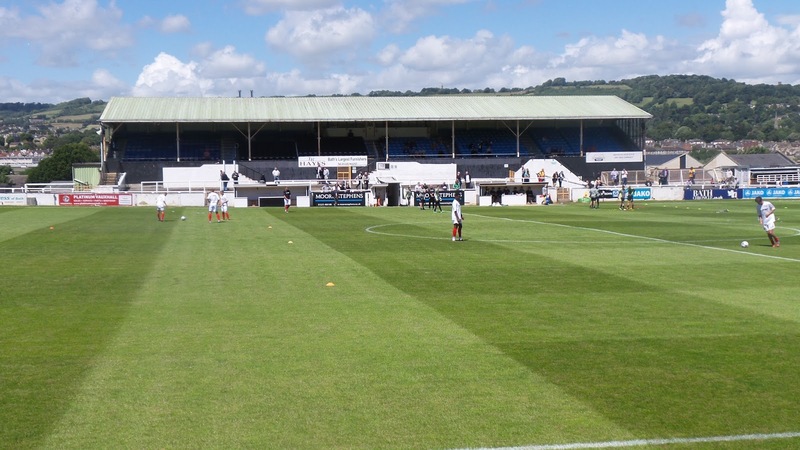 TWERTON PARK is set in the Bath suburb of the same name and is a wonderful example of how a traditional football ground has managed to survive in the current age with plenty of character. 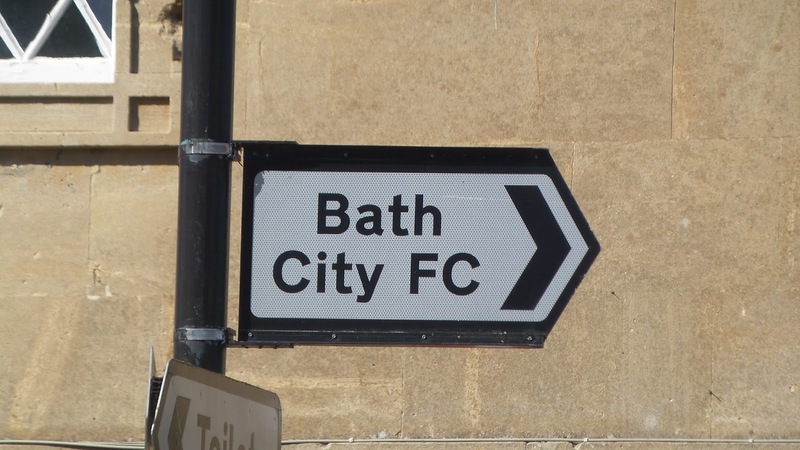 It's just over a mile walk from the city centre, with a few pubs nearer the ground on the way. The Royal Oak came out favourably in my research for seekers of real ale and cider. Right by the ground are 3 convenience stores and a Chinese takeaway. 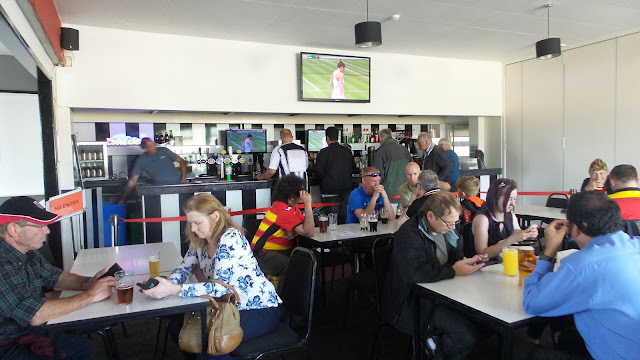 The club has a large bar, serving real ales, but sadly nothing special on the cider front that I could see. The tea bar offered a wide range, with slightly above average prices, though I can't comment on the offering, as I didn't indulge. 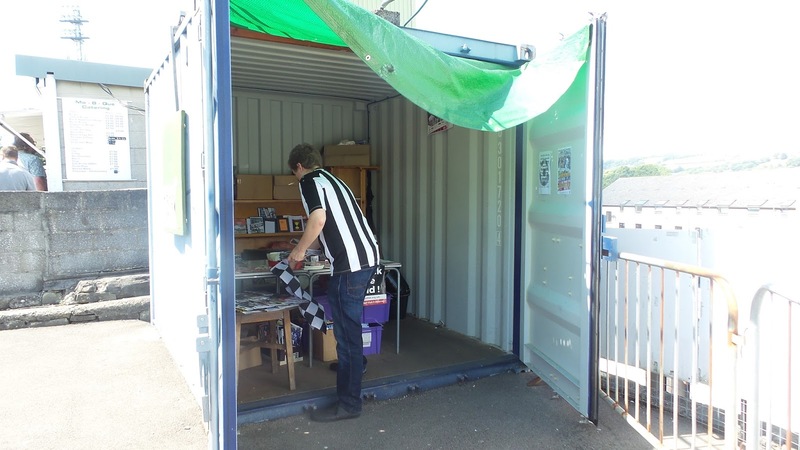 Finally, the club shop is pretty small, situated in a cabin near the inside of the turnstiles, offering a range of souvenirs, plus a limited selection of old programmes and books. There are two seated stands on the side where the entrances are, these total 1006. 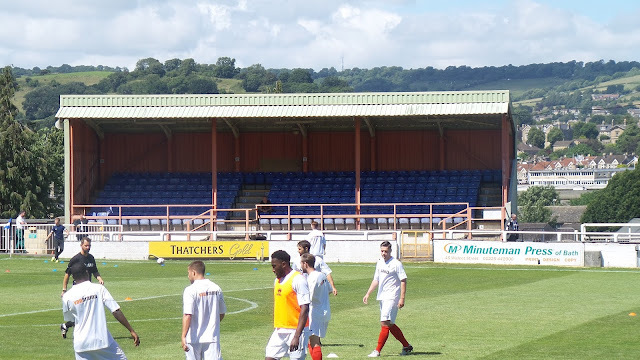 There is a large main stand which has around 700 seats. This also has the tannoy area and the front 2 rows are for VIP's though I sat here second half as they had padded seats. 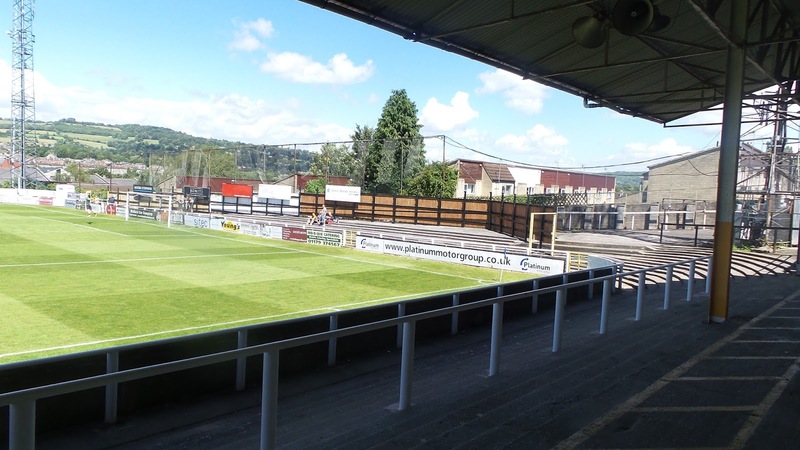 The view is good if you can avoid the pillars as it's elevated above pitch level, To your right as you look at the pitch is a further 300 seater stand, this was added so that it met football league criteria when Bristol Rovers were tenants at the ground. 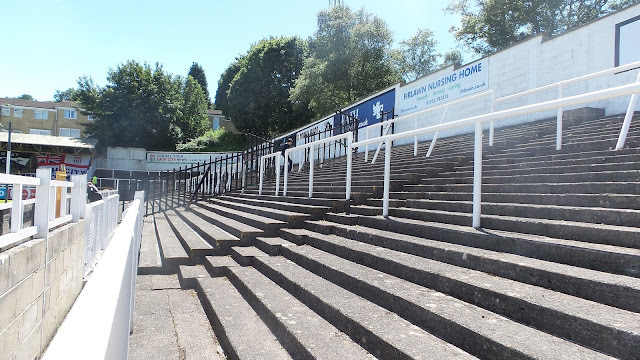 In addition, there is uncovered terracing at the front of the main stand, and to the left-hand side. 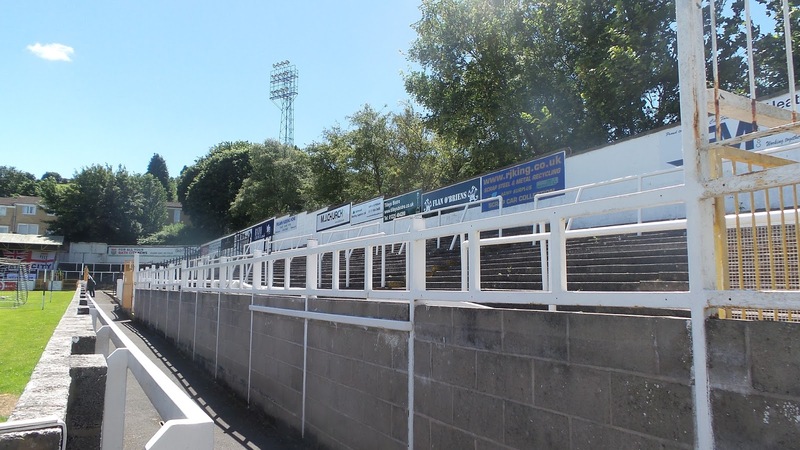 To your left is one of 2 uncovered terraces, this is the smaller of the 2 ends and has been exclusively for home supporters on my segregated visits. Opposite is a cavernous covered terrace, and this is where the main capacity of the ground is housed. There is also a TV gantry in the roof and an extra tea bar below. Finally is the bigger of the 2 ends. This has segregation so if required, fans can be kept apart. 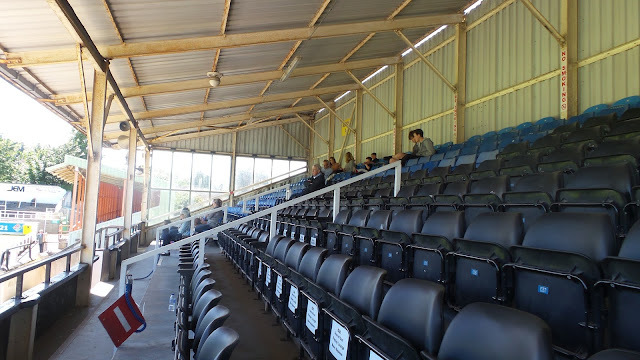 Generally visiting supporters get the right-hand side (as you look at the stand) plus the smaller of the 2 seated stands.